Celebrating Global Remanufacturing Day today (April 11), the Remanufacturer of the Year (RotY) Awards for 2019 are now open for nominations. The RotY Awards highlight the huge commercial and environmental benefits of remanufacturing. They have become a much-anticipated part of the world’s No. 1 remanufacturing trade event, ReMaTec, which brings together industry leaders and remanufacturing specialists to share solutions on sourcing remanufactured components, reversed logistics and core management. As a unique industry platform, ReMaTec 2019 contributes to a more sustainable world. The RotY Awards are the most prestigious recognition of achievement in remanufacturing and the list of people who have won is a remarkable roll-call of the industry’s talent, according to ReMaTec. From 2005 until 2016, the Remanufacturer of the Year was given to one person or business that had served automotive remanufacturing with particular distinction. Since last year, three separate award categories highlight process improvement, innovation and business achievement. • Best Reman Process Optimization: This award will go to the company or organization that can demonstrate the most outstanding process improvement to part – or all – of a remanufacturing process in the past 12 months. • Best Reman Business Innovation: Awarded to the company or organization that has implemented a business model or initiative that creates outstanding results and returns across any aspect of the remanufacturing industry. • Best Reman Ambassador: A special award that goes to the organization or individual that, in the opinion of the jury, has most significantly contributed to the general awareness of – or acceptance of – remanufactured products. “The Remanufacturer of the Year Awards represent everything that is best about the reman industry,” said Adam Hill, chairman of the RotY awards jury. Now in its 15th year, the RotY Awards have the potential to reach an even wider audience as the circular economy – of which reman is a key part – gains mainstream recognition. At a time when green issues, conservation of resources, recycling and environmental responsibility are at the forefront of public concerns, the RotY 2019 Awards will publicize the industry’s endeavors to reclaim and re-use precious resources in new and innovative ways. 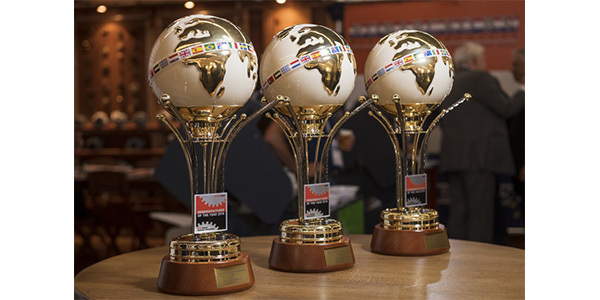 The three RotY trophies for this year will be awarded on June 23 during the opening ceremony of ReMaTec 2019 in Amsterdam. Entering a nomination can be done before 10 May 2019 at http://www.rematec.com/roty.